From London to Melbourne and Seattle to Philadelphia edible urban forests are providing food and hope -- a brighter tomorrow for children of the Earth. There are over 7,500 species of apple that grow all over the globe. Apple skin is extremely high in fiber which helps prevent colon cancer. An organic apple a day helps keep the doctor away. Photo credit: Earth Dr Reese Halter. The United Nations estimates one quarter of all agricultural land is seriously degraded. So people have begun cultivating urban landscapes. 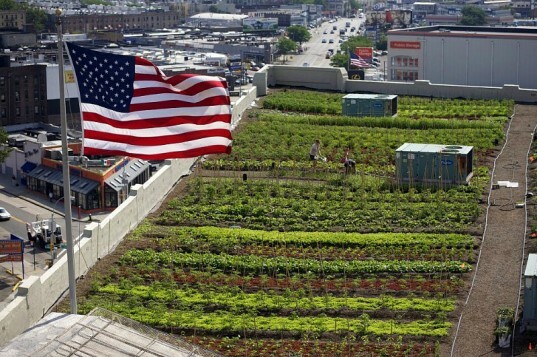 In fact, 800 million humans partake in urban agriculture. Forty nine million Americans experience food insecurity. Moreover, 23 million Americans live in food deserts with little fresh produce grown on public space. To combat this insecurity, Americans in poorer areas are now taking food production into their own hands with some staggering results. About 16 million Americans grow vegetables, fruits and herbs on their property. Many city councils have legalized urban beekeeping enabling more food to be grown as they begin future-proofing their communities. New York City, Chicago, Detroit, Cleveland, Madison, Santa Monica and many other cities and towns now allow urban farming on both private and public spaces. It is truly heartening to see plentiful bounty now growing on once abandoned lots in Cleveland and Detroit. Even more inspiring, a youth center in Chicago produces 1,000 pounds of organic produce a year on their rooftop while teaching urban children the importance of bees and how to grow food. It is a pleasure to report on so many touching community stories that are all interconnected because they share the goal of producing food, creating shade and providing hands-on educational programs including beekeeping. They are creating a special spot filled with nature within their neighborhoods, which makes them all very proud. Edible food forests are based on the principles of permaculture. That is, a system of ecological design, a philosophy and a set of ethics used to create a perennial self-sustaining landscape. Rainwater harvesting in cisterns, building soils rich with fauna, flora, bacteria, fungus and protozoa as well as nitrogen fixing trees and plants are fundamental practices within this system. Healthy soils are indeed central to future-proofing all cities. In 1982 a not-for-profit group called CERES began to rehabilitate 10 acres of a decommissioned landfill along the Merri Creek in East Brunswick, Melbourne, Australia. Today, it's an award-winning center that grows plums, apples, peaches and a wide array of vegetables and herbs. They keep a honeybee hive and thousands of school children have learned with a hands-on approach about permaculture, edible trees, gardens and the necessity of water conservation. In 2001, students from Warren Wilson College and a local nonprofit teamed up with Park's and Recreation to remove trash and concrete, creating Asheville, North Carolina's first edible food forest. Dr George Washington Carver Edible Park was once the site of Stephen-Lee High School, a former segregation school for African Americans. It was demolished in 1975 and left as a rubble-filled lot. Today there are 40 varieties of delectable fruit and nut trees at Dr George Washington Carver Edible Park. It's a peaceful oasis that grows everything from apples to ziziphus (Chinese dates). People are welcomed to pick bounty, freely. In 2009, Seattle created its seven-acre Beacon Food Forest, which includes a beehive. It's a smart permaculture design that has a multi-layered tree canopy of apples, walnuts and chestnuts with smaller fruit trees like mulberries, Asian pears and Chinese haws, a shrub layer with currants and other berries, ground plants like strawberries, a broad assortment of herbs and root vegetables such as beets and carrots. It's a public area that also welcomes people to freely pick its bounty. Beacon Food Forest inspired London's Mabley Green, close by the Olympic Park, to create their own food forest of fruit and nut trees with vegetables, raspberries and herbs on the forest floor. The most touching of all the stories is South Philadelphia's Mercy Edible Park. This little community jewel diligently harvests rainwater, practices composting that builds and enriches the soil whilst growing edible tree bounty along with a scrumptious understory of asparagus. It is so encouraging to see communities bond, working hand in hand for the betterment of everyone. It reminds me of a colony of honeybees that all work toward the common good. This is a triumphant global story -- offering a promise of a better future for humankind! 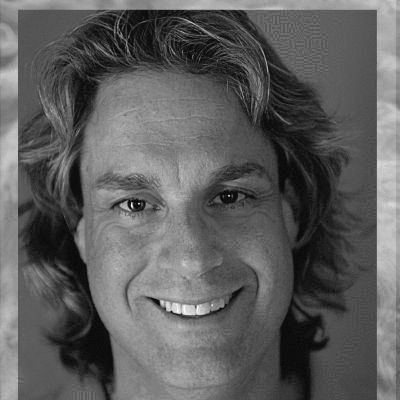 Earth Dr Reese Halter is a broadcaster, biologist, educator and author of The Incomparable Honeybee and the Economics of Pollination.